Throughout his career, native Houstonian Nick Gilbert has been committed to helping clients achieve their home ownership dreams. He strives to maintain a long-standing relationship with each client by providing practical home-financing guidance, constant communication and exemplary service. Nick's customer-focused drive led him to become a Branch Manager for Cornerstone Home Lending, Inc.. 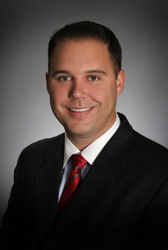 Through Cornerstone's extensive nationwide source of mortgage loan investors, Nick offers a complete line of products. He also has instant access to innovative financing products and loan programs. A Top Producer and member of Cornerstone's President's Club, Nick attended both the U.S. Air Force Academy and Texas A&M University. Following his role as team leader for I.P.G. Advertising, Nick entered the mortgage industry as an account executive. In 2002, he became a home mortgage consultant and, just one year later, launched his own mortgage company. At Cornerstone Home Lending, Inc., you will discover dedicated, experienced professionals who wish to build quality relationships by earning your business. Experience the Cornerstone difference, and rely on Nick Gilbert for all of your home-financing needs. Nick can be reached at 713.349.6212 or [email protected].